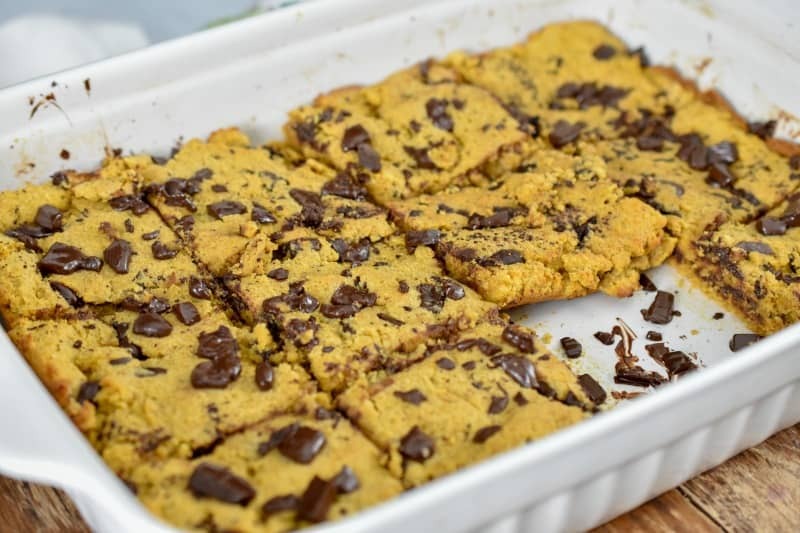 If what you are looking for is an easy, delicious low carb keto soft-baked chocolate chip bars, are you in for a treat! 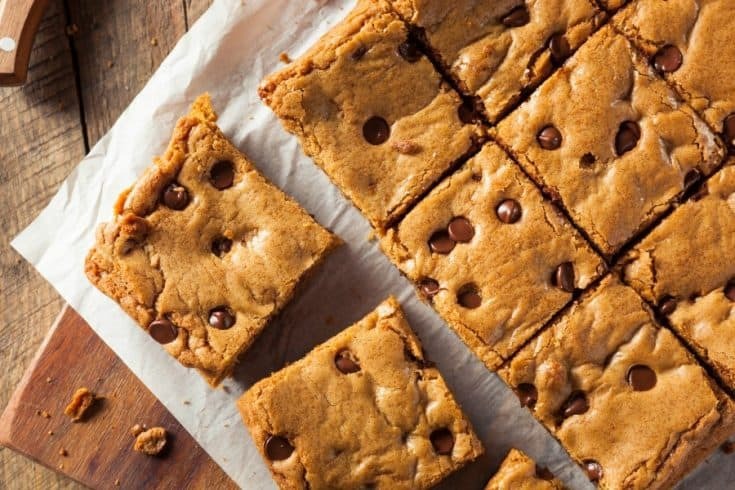 These keto friendly chocolate chip bars will have you smiling from ear to ear. Let me show you how decadent this low carb keto lifestyle can be. No need to feel deprived with recipes like these. As far as the youth were concerned the chewier the cookie, the more heavenly they were. They would call my cookies “Jesus” cookies and it was meant to be a huge compliment. Do you know what was my secret for super chewy cookies? Marshmallows and corn syrup! Ugh, I know. Today, I cringe when I think of how often I made these. Yet somehow the kids felt that Jesus himself had endorsed my cookies. Ohhhh the life of a youth pastor, never a dull moment! Oh, how I wish I could have shared a plateful of my keto soft-baked chocolate chip bars instead. These low carb soft-baked chocolate chip bars are in no way as chewy as my marshmallow loaded ones were. The absence of that much sugar makes that level of chewiness pretty impossible. However, these keto soft-baked chocolate chip bars are melt in your mouth cookies and yes they are delicious! What’s more, I like to think that Jesus would give these keto chocolate chip bars a thumbs up. As far as calling them “Jesus” cookies? That kind of talk can only belong inside a youth group. 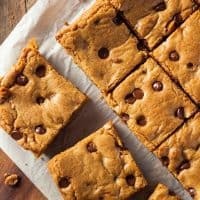 I have a couple of ingredients and tips that help make these keto chocolate chip bars a success. For one this recipe uses cream cheese. I’m a big fan of keto cream cheese recipes Why? Well, because cream cheese adds a lot of stability and texture to keto foods. In this keto bar recipe, the cream cheese helps with making the cookie bars have that soft-baked texture we all love. I also use a tiny amount of xanthan gum to help with the chewy factor. It’s not necessary but it does help in my humble opinion. The recipe calls for five whole eggs and you don’t want to skimp here because it plays a vital role. I also use a combination of almond and coconut flour to get the perfect texture. I have several options when it comes to which sweetener you can use in this recipe. 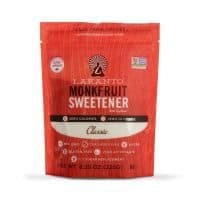 I really like Lakanto Monk Fruit because the texture is spot on and because there is barely any aftertaste. Can I just add that it’s my favorite sweetener because it never gives me issue? You could also use the stevia and erythritol-based brand Pyure for most of my baked goods. Keto-Friendly Cookies For The Win! Baking sugar-laden cookies for the youth that Randy and I had the honor to minister to, seemed to be a regular Friday night occurrence. Randy and I were involved in some sort of youth ministry for over 25 years. Our lives are so much richer for having served this generation. Looking back, it’s no surprise that the youth found these cookies so addicting. What’s more, I am pretty certain that Jesus wasn’t smiling on my cookie offerings. No, He was probably shaking His head thinking oh Hilda, Hilda you have so much to learn. After all, my keto soft-baked chocolate chip bars did not show up until we closed the youth pastor chapter of our lives. Fast-forward to today and now I wouldn’t touch or make any sort of cookie that has regular sugar in it. It’s amazing how much a person can evolve when they get the right revelation. Our health was spinning out of control until we made the decision to change our diet to a ketogenic one. I invite you to read more about our health transformation. If you’re a fan of chocolate chip recipes do also try our Ketosis Chocolate Chip Cookies and our Keto Chocolate Chip Scones. Favorite Keto Hack To Stay On Track! If you’ve struggled to get into ketosis consistently on keto, or you’ve hit a plateau that doesn’t seem to budge, consider using Perfect KETO exogenous ketones. Well, because by using exogenous ketones you will naturally elevate your ketones allowing you to enter into ketosis more quickly. And being in a deeper level of ketosis will dramatically reduce your appetite, carb cravings, and give you lasting energy. Frankly who can’t use more of this? It’s been our experience that the use of exogenous ketones helps make the low carb keto lifestyle a viable sustainable option. So why not use the extra help when needed? Honestly, I call it my willpower in a cup. Learn more about the science behind both exogenous and endogenous ketones and have your questions answered from a doctor’s perspective. 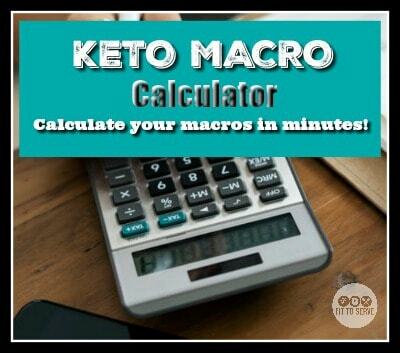 In order to maximize your keto results, don’t start the Keto Diet until you calculate your Keto Macros easily Using this calculator will customize the diet according to your goals and help you do the Keto Diet properly. Preheat oven to 350 degrees. Line a 12x16 inch cookie sheet with parchment paper. In a stand up mixer beat together the butter, cream cheese, vanilla extract and sugar substitute. Add the five eggs one at a time, mix well making sure the eggs are well incorporated into the batter. Fold in the sugar-free chocolate chips and walnuts with a spatula. Spread the batter evenly unto a 12X16 inch cookie sheet. Bake for 30-35 minutes or until golden brown. Allow cookie bars to cool completely before slicing. I made this a week ago, added cocoa to make it chocolate chocolate chip and coconut flakes for more texture and fiber. They were amazing, better than I ever thought they would be! Thank you so much for this recipe! Hi Erin, Glad you enjoyed them and found a way to customize them easily. I just made these and my God they are Amazing !!! I never leave reviews, but this is one of the best recipes I've tried for any keto baking. These bars are moist and hold their shape, and are super delicious! This makes a large batch if bars too. I'll definitely try other recipes of yours. Thank you! Hi Arland, Thank you so much for stopping by to encourage me with your comment. So happy to hear you enjoyed it. Hi Natalie, So glad you enjoyed it darling. Thanks for stopping by to encourage me with your comment.